Roomates are fun. I've never lived alone, and I never plan on it. I think I'd get bored without somebody to goof around with. Over the years, my roomates have been some pretty interesting characters. I got to know one of my Harding roomates in the Allen dorm parking lot. We yelled "I hate Harding University" as loud as we could. And, that was the beginning to a beautiful friendship. Over the years, we did all kinds of interesting things--including taking out the same girl at the same time--to a redneck dirt race track no less. Looking back, we were two dorks who didn't understand how to relate to women. Over time, we hung out outside the freshman girl's dorm (Sears) in the back of Tom's truck--on a couch. We also took dates to Berryhill Park with a couch and a tv to watch movies. Actually, I think we did that three times. We spent countless of phylisophical hours in our dorm trying to figure out some of the mysteries of women. Needless to say, I don't think we actually accomplished anything in our deep discussions. But they were fun. Whatever you're up to, Tom, I hope things are well. Give me a call some time. I met another of my roomates through TNT while at Harding. Living with Peter was one of my first multicultural experiences with a real-life african. We also spent countless nights discussing the intracacies of God, women, and foot fungus. My multicultural roomates also included the Beast from the East--a pseudo japanese, ultimate frisbee playing, pianist with squinty eyes who never really did anything too shocking other than that time he stole a girl from me. Well, sort-of. My streak of interesting roomates continues as I wade through Dental School. I currently live with two other dental students. John is in my class. Mike is a year behind John and me. John is a semi-pro cyclist: complete with a rockin' roadbike, cool helmet, and matching spandex uniform from his days racing for his college. In true friendship form, I make fun of him every chance I get. Yup, it was cold outside and he was "training" while playing video games in our living room. I wonder if Lance Armstrong ever did the same thing? 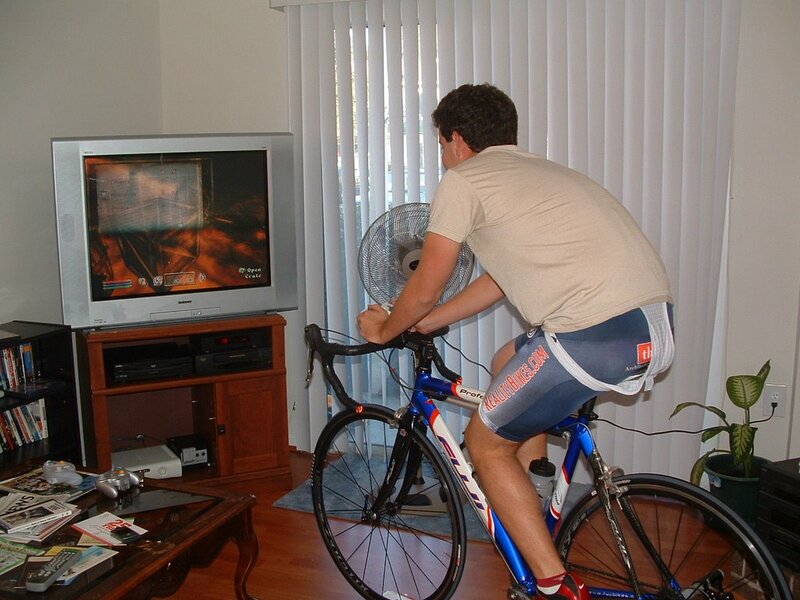 Regardless, I think we've invented a new sport for the Xgames (sponsored by Xbox360): Xbox Biking. You have to ride 15 miles while completing a mission on Oblivion. I'll add this one to the roomate highlight reel. If he taps his shoes together three times does he return to Kansas?